Klymenko: The power strives to stir up religious confrontation between Ukrainians ⋆ News ⋆ Official website for Oleksandr Klymenko. 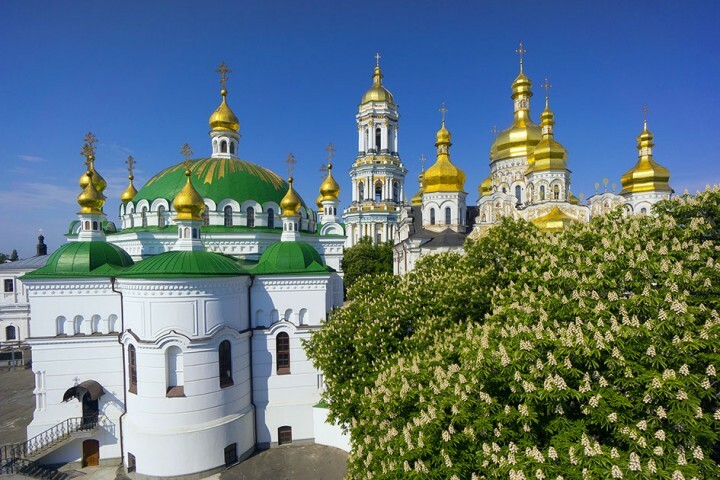 Religious draftlaws of the MP’s coalition against Ukrainian Orthodox are anti-constitutional and will force Ukrainians to fight for their spiritual values. It was stated by Oleksandr Klymenko, the politician and the leader of the «Uspishna Kraina» party. The politician believes that the prepared draftlaws – it is not just a PR of the power, but demonstration of its real desire to minimize the influence on the Ukrainians of the canonical Orthodox Church. Klymenko recalls that nowadays, 14 thousand parishes of the UOC (Moscow Patriarchate) are operating in Ukraine. All of them will be forced to register anew during the three months. In order to do this, they will have to get a conclusion from the so-called independent experts. At the same time, claims of the “independent experts”, which are appointed by the authorities, are unknown. If parishes refuse to do this, they will not receive permit and will be forced to close their temples. Millions of congregations will be deprived of the opportunity of spiritual communion and prayer. “In fact, we will have a war for the sake of temple in each village as well as it was during the Soviet times”, – Klymenko stated. The leader of the «Uspishna Kraina» reminds that only 8% of Ukrainians support the state’s control over the church. Such amount is nearly equal to the number of radical citizens. Consequently, communities, which are loyal to their priests, risk to curry anger of various right-wing movements – Azov, the Right Sector, etc. According to the politician, the aim of the draftlaw, which is promoted by the power, is to divert attention of Ukrainians from real problems and to force them to switch to protecting their spiritual values. “The situation will split the society and cause severe disputes. Thus, it will divert attention from the laws, which are related to the IMF, namely, from the anti-human pension “reform”. The government is expecting that people will not pay attention to it due religious wars”, – he believes. Moreover, the politician considers the prepared draftlaws to be an attempt to indulge Poroshenko in his desire to have its own place in Ukrainian modern history – “creator of local church”. Klymenko hopes that this document will not be adopted. Moreover, he states that this document – it is a PR and work with public opinion, rather than current reality. However, he cannot completely exclude the adoption of this draftlaw due to current situation in Donbas. Let us remind, on Thursday, May 18, the Verkhovna Rada will examine the draftlaw of MPs of the coalition No. 4511. Despite the fact that the draftlaw does not mention specific confession, only the UOC (Moscow Patriarchate) meets the criteria. The expert commission, which analyzes all Ukrainian draftlaws, states that this document does not comply with the Constitution and cannot be adopted. In addition, the Verkhovna Rada will consider another draftlaw that day. It comes about No. 4128, which was also prepared by MPs from the pro-government group. Experts consider it to be “the law on church raiding” and stress that it is aimed at fight against the UOC (Moscow Patriarchate).